Jalopnik superfriend and New Jersey explorer J.F. Musial captured this image of the start of construction for the New Jersey Grand Prix. 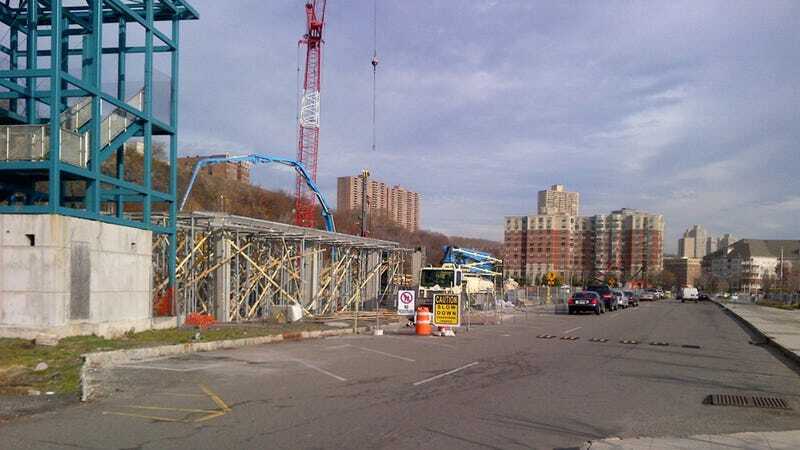 It might just be the paddock/parking garage, located in exceedingly glamorous Weehawken, but it's a start. With this humble frame begins a tortuous, drawn-out, extremely public process of building a Formula One circuit, not an easy task anywhere, especially in the United States. Hopefully, throngs of rich New York financiers and obscenely young-moneyed New Jersians will get behind the Grand Prix and keep things running smoothly so this doesn't become another failed experiment.